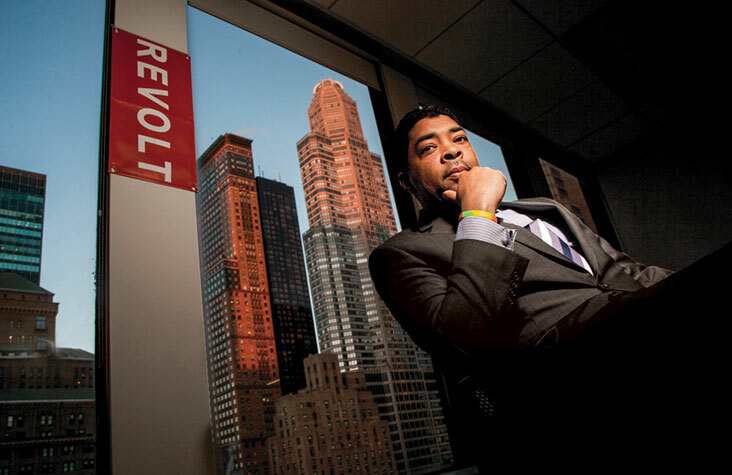 Clinkscales at Revolt TV: delivering a disruptive voice on the world of music. Revolt TV highlight: Watching chairman Sean Combs launch the network from the front stoop of the late Notorious B.I.G.’s home on St. James Place in Brooklyn. Five words on Sean Combs: Incredibly market savvy, beautifully unreasonable. Done deals: Revolt advertisers include Anheuser-Busch, Beats by Dr. Dre, Chrysler, McDonald’s, and Procter & Gamble, among others. Two up-and-coming faves: Kendrick Lamar, a Compton-based rapper; Janelle Monáe, a psychedelic soul and R&B singer from Kansas City, Kansas. On his desk: A photo of his dad, a former Harlem Globetrotter, who died two years ago.